Outdoor recreation, such as boating and fishing, generates an economic impact of $23.3 billion annually in the state of Florida. Based on the National Marine Manufacturers Association (NMMA) 2018 Boating Economic Impact Study, there are 918,255 registered boats in Florida and 141.6 million Americans go boating each year. It’s no wonder why Florida is often referred to as the “Fishing Capital of the World.” With it’s 1,350 miles of saltwater coastline, more than 7,700 freshwater lakes and 10,550 miles of rivers, Florida is the place where more world-record fish and the variety in the types of fish are caught more than anywhere else in the world. Outdoor enthusiasts delight in trails, parks, waterways and recreational sports and facilities throughout Florida. In fact, Nautical Ventures was born out of this passion, connecting water sports and nature lovers with innovative products and options so they can have the best experience on the water no matter their skill level or activity preference. This is why Nautical Ventures is referred to as “Your Go-To Place for Fun on the Water.” It is a space for people to come and explore, connect and discover bigger smiles as you purchase your new, or update an existing kayak, SUP, boat or yacht tender. 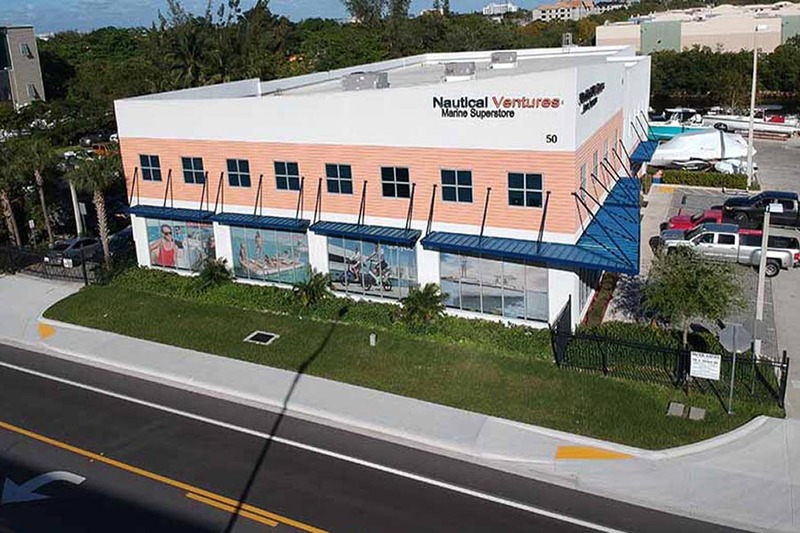 Nautical Ventures is dedicated to educating and advising their customers at every level of their purchase. 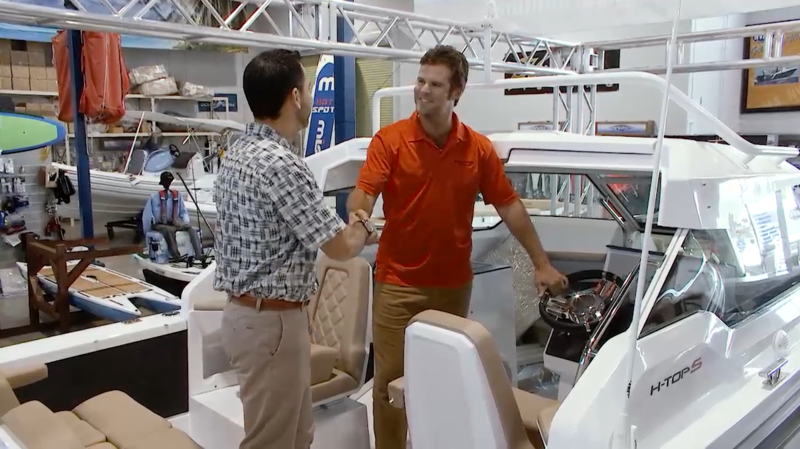 From the initial meeting, all the way through the handoff of your boat or water sports product. By understanding your wants and needs, Nautical Ventures staff are able to provide you with a personalized and extraordinary buying experience. Not only that, but our sales staff are people who love outdoor recreation themselves and most of the time, you will be buying from a person who owns a boat, kayak or one of the products they sell themselves. They live the lifestyle and this translates into expertise and knowledge far above any typical salesperson. Purchasing a boat or kayak through Nautical Ventures does not just end there. Nautical Ventures services everything you buy. We go the extra mile to make sure you have a completely satisfying experience. How? By assembling a team of mechanics and craftsmen who have direct onboard experience and a proven record of success. Nautical Ventures provides high-quality work and you will never find any hidden fees or costs with anything you purchase. Our ‘Demo Days’ are a favorite among those looking to purchase their first recreational product or those who are looking to buy another one. 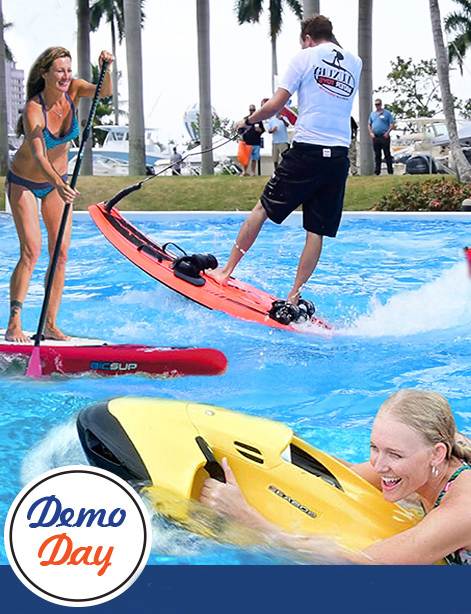 The Nautical Ventures Marine Superstore is filled with the most eclectic and innovative collection of watersports products imaginable and during Demo Day, outdoor enthusiasts can try them all out in our exclusive AquaZone for FREE. Outdoor enthusiasts love learning about the latest new products, special discounts and new places they can go fishing or participate in recreational activities. By enrolling into our Nautical Adventurer’s Club, discovering new adventures you can have near and far with other owners of our products is just one of the benefits of the membership. Nautical Ventures has been given numerous awards, including the Top 100 boating dealership award by Boating Industry magazine three years in a row. When you purchase from us, you are purchasing at ease because you know that you’re buying from someone who has a great reputation in the marine industry. Nautical Ventures is not just a marine superstore, it’s also a way of life. Come in and discover for yourself why outdoor enthusiasts love our store.